Our practice is committed to providing you with the latest and best advances in dentistry which is why we now offer anaesthesia with the 'magic' wand. This means every time we numb you up it will be a comfortable experience. Most patients that have had a painful experience with injections and suffer from needle phobia think that it is the needle going into the gum which causes the pain. The most common cause of pain during injection of local anesthetic is in fact due to the rate at which the dentist injects the anesthetic into the gums. The wand uses a small hand piece that looks like a pen which gives a supply of anaesthesia in a slow, comfortable manner. It works at a low pressure and a slow rate making the experience more pleasant. The anaesthetic is also more localised meaning no numb lip afterwards. Due to the large number of implants that we place, we are one of the few practices in South Manchester that has an in house CT scanner. This technology enables us to treatment plan our implant treatments to a high level of precision and accuracy. The scanner is used alongside our 3 dimensional planning software to precisely plan where our implants are going to be placed before our patients sit in the chair. This in turn will reduce problem and increase our success rates. In the past, our patients were referred to CT scanning centres but this expensive investment will ensure speed and convenience for our patients. With our new scanner, everything can be captured digitally. 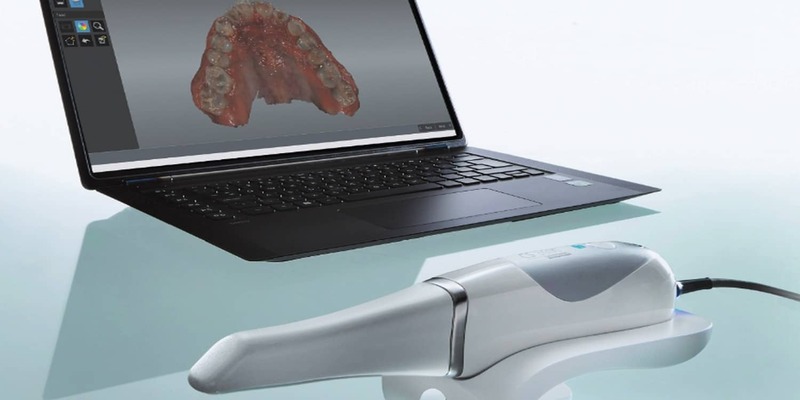 The process is more pleasant and accurate than traditional impressions, and we can also transfer the scans much quicker to dental laboratories. We often use our intra oral camera to break down barriers and help you as the patient get a better understanding of the health of your mouth. The intra oral camera is a revolutionary diagnostic dental tool allowing us to more easily identify potential problems within the mouth early on which could be missed by a visual examination. 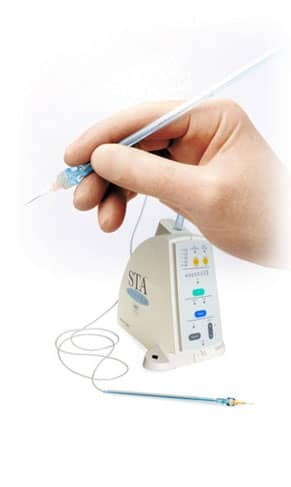 The tiny intra oral camera can be inserted into a patient's mouth, taking pictures of the teeth and displaying the images on a computer screen. Using the intraoral camera saves time and makes problems easily visible to both patient and dentist. Patients can view the areas we will be working on, making procedures more understandable. The accompanying software also provides clear and accurate data so that the best treatment options can be selected. There is no pain or discomfort with the intra oral camera. We use the latest x-ray technology which halves the radiation dose in comparison with other types of x-ray. Digital x-rays also allow us to capture instant images making it possible to have an immediate diagnosis which can be helpful for planning treatment and to detect any problems. Because the X rays are instant, this reduces the delay between taking the X ray, and telling the patient the results and what treatment is required. The X ray images can also be used in our digital software to enable us detect areas which may not have been visible using manual X rays. All of our surgeries are equipped with the latest digital SLR cameras, ring flashes and macro lenses. Photography is the start of the journey of any patient who wishes to have one of our more advanced treatments. By taking photographs inside their mouth and of their face, it makes it far more effective to discuss what the patient's concerns are and what can be achieved. Communication is a big part of our initial consultation and at the end of treatment. 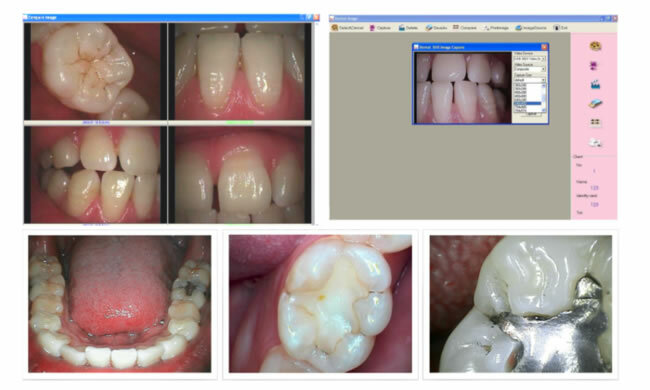 With certain cases, we have the ability to provide a digital treatment plan of the intended outcome. This is a great tool for patients to visualise how their smile makeover will look before it has begun.